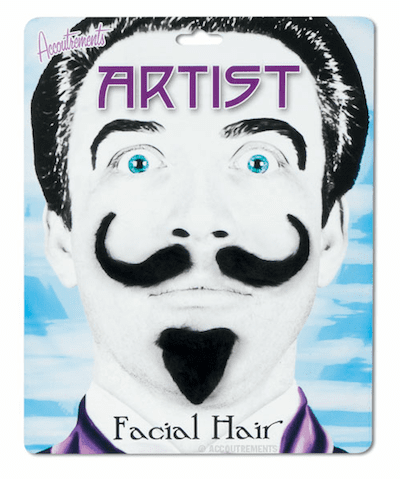 This unique arrangement of facial hair makes you look just like an artist. Slap it on your face and you'll immediately be welcomed at exclusive receptions, private exhibitions and secret shows! Each piece in the set is made of lifelike synthetic hair with adhesive backing.